- multi-barrel pens: I like using the different colors to color code and organize tasks, to-dos, and goals. - page flags and tabs: These are a great way to section off different parts within my planner, create multiple categories, and flag upcoming important events. - gel highlighters: These have been a favorite ever since I came across them. I love how they don't smear any of my writings like how some ink highlights tend to do. - sticky notes: A great way to capture those pop-up ideas, tasks, quotes, last minute changes, etc, and stick them within the appropriate planner page or calendar spread. Sticky notes make it convenient to add little notes and reminders within my planner that aren't necessarily a permanent thing but still require attention. - binder clips: I like to use these to section of pages or bundle together multiple pages to better flip through my planner and other bulky sections. - a blank notebook: When organizing my daily tasks, I use a small handy notebook to jot down the things that don't need to stay within my planner such as a grocery and my "new recipes to try" list. 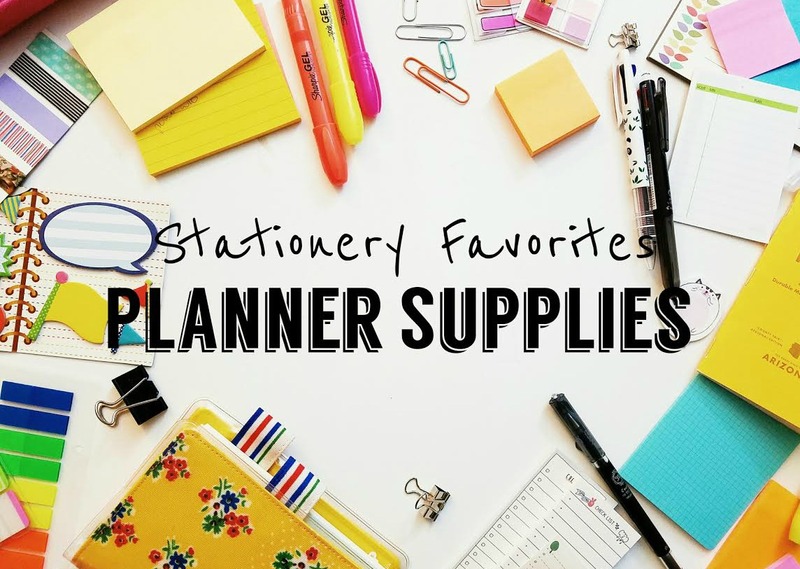 You can watch my Stationery Favorites video to see more of these in further details. Also, to update you on another current favorite, I recently purchased a new daily planner...and I have to say, it's just what I've been looking for!! If you haven't already seen my video on the Law of Attraction Planner, I encourage you to check it out! Just a forewarning, though. It's a lengthy one. So make sure you have a good cup of tea or coffee to keep you company, and enjoy the show. There's just so much to see, to cover, and to share! For the past two weeks, I've been having fun setting this planner up, writing out my intentions, positive affirmations and yearly goals. It's as if this planner was designed for me! Who doesn't love a blank notebooks, especially when the page quality is top notch <3 I'm happy you found a planner you really love! I totally agree with you. Thank you for sharing this post.